In exceptionally hot locations in the US, like the South, air conditioning is sometimes not only a luxury but a necessity for coping with the skyrocketing temperatures. When your machine starts having issues, you might be tempted to panic or try to fix the issues yourself. In the case of minor problems, you can get an AC working again, but components like the condenser require more professional help. Whether your issue is a leak or a block, consulting technicians in air conditioning installation in McDonough, GA will help you get to the bottom of the problem immediately. The condenser of your air conditioner is an integral part of the process in your air conditioner that converts warm air into cool. When your converter goes out entirely, you'll notice it pretty quickly, especially in Georgia. Your home will get warmer as your AC unit only spits out room-temperature air. If you have experience inspecting AC units, you can troubleshoot to make sure there's not a simple fix. However, you'll want to be careful around the electrical components. 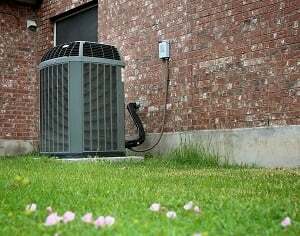 If your AC doesn't start at all, at this point, you'll want to call air conditioning service in McDonough and investigate what specifically is causing the condenser's issue. A little water next to your AC isn't a big deal, right? 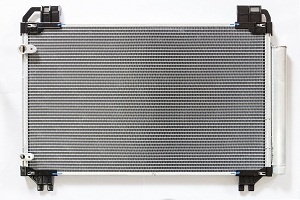 This is actually a serious sign that your condenser's seals and tubes have worn out. Because they can't be mended, you'll need to have a professional come to replace them. Letting an AC leak go on for too long can cause serious damage that a professional won't be able to mend, so make sure to check your AC unit a few times a year. This sort of problem is usually just due to normal wear and tear, and most units will need replacement tubes or seals at some point. Particles of dust and dirt can accumulate in the machinery of your air conditioner over time, especially if you aren't regularly inspecting and replacing the filter (if your model requires it). Little bits of metal can also be at fault if the machinery is not working together and rubbing against itself. Blockages will prevent the condenser from working properly. If the issue persists, it ultimately damages the compressor, which is one of the most important parts. For diagnosing condenser issues, getting a replacement, or getting a new AC unit in the worst-case scenario, calling our air conditioning specialists in McDonough can help you get through the process.